All college students can relate to one another when it comes to the stress and anxiety of finals week. For some, finals can make or break their grade. For others (those who are succeeding in their courses and can afford bombing their finals), it is just “another exam”. It’s the time of the year where students study the hardest, and their stress levels seem to be at a higher magnitude. 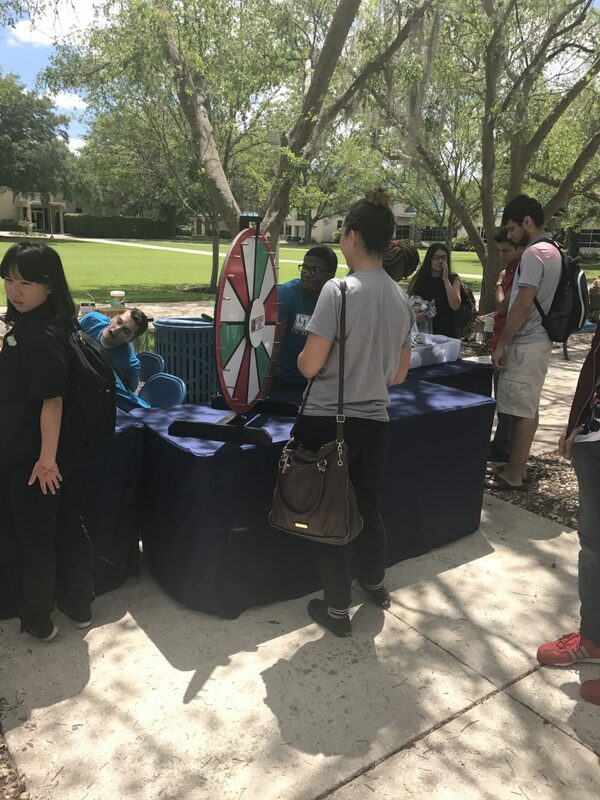 Luckily, CF’s Stress Busters event gives its students a temporary break from the reality of finals approaching in the coming week. Stress Busters this year took place on April 26 on CF’s main campus in Ocala in Bedford. It included free food, fun, music and lots of students. This year the Student Activities Board turned it up a notch by having the Adrenelator and trampolines at the end for students to actively enjoy. A great turnout from the student body is what allows this event to take place each semester year in and year out. Not to mention that the event is free. Sophomore students Gene Glover and Vanessa Ortiz, didn’t hesitate when asked what aspect of Stress Busters were they most fond of. “The free food,” they said in unison. Ortiz also said she’d like to see more activities added. Oliver says sending out an email to the entire student body with activity ideas for Stress Busters and letting the students choose them would enhance the overall experience.